. إن حسن الضيافة والخدمات الراقية التي تعرف بها Rydges Hotels & Resorts تغني تجربتك في فندق كينجز بيرث. يقدم هذا الفندق العديد من الخدمات الكفيلة بإرضاء أكثر الضيوف تطلباً. في فندق كينجز بيرث غرف نوم يزيد عددها عن 116 صممت بذوق وعناية لتوفر لك كل وسائل الراحة . بعضها يحتوي أضاً على تلفزيون بشاشة مسطحة, اتصال لاسلكي بالإنترنت, اتصال لاسلكي بشبكة الإنترنت (مجاني), غرف لغير المدخنين, مكيف هواء. كما أن مجموعة الخدمات الواسعة الموجودة في الفندق لضمان راحتك تترك لك الكثير من الخيارات لقضاء وقتك أثناء فترة إقامتك. اكتشف مزيجاً ساحراً من الخدمة الاحترافية والخيارات الواسعة من وسائل الراحة والمتعة في فندق كينجز بيرث. 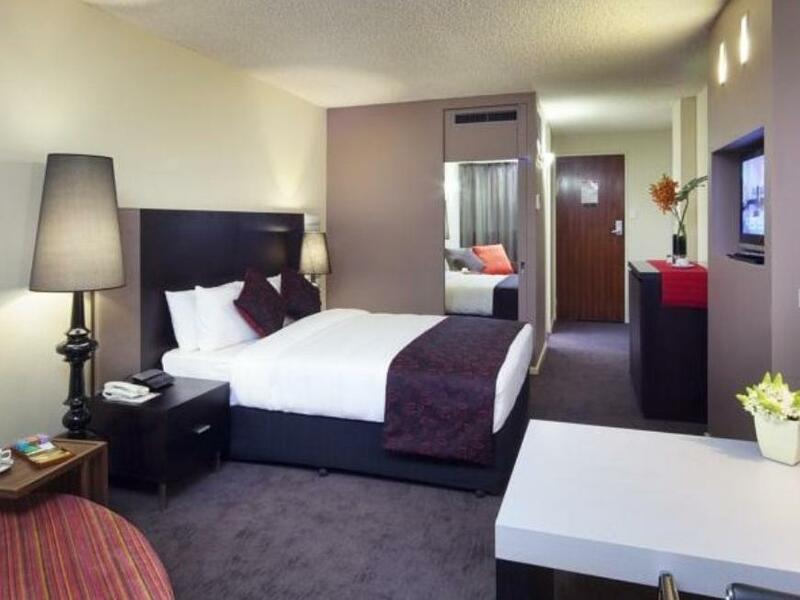 Minutes away from the Murray Shopping Centre, with convenience bus stations around the hotel. Did not expect the hotel to be that decent with the price I paid for. Staff been friendly and helpful at all time. I reached the hotel from Airport in early morning at about 8.45am. As my check-in started at 2.00pm, I had requested the hotel to keep my luggage while waiting for check-in time and the hotel kept it at no additional charge. I came back to hotel after breakfast and lunch at 11.15am without expecting check-in early, but somehow the hotel manager has politely come to me and informed that I can check-in at 11.45am since the room that I booked was ready. Wow! So impress with this very-very good customer service. 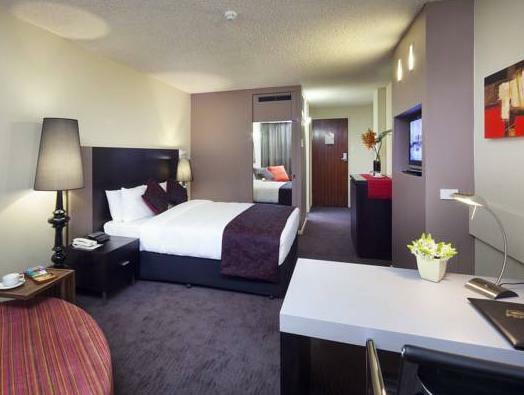 This hotel was also well managed the cleanliness throughout the hotel, I would definitely come back to this hotel on my future visit to Perth. On a positive the hotel was in great city location. Good sized room. Unhappy with alarm going off and taking a long time to rectify. Then a distorted announcement made in rooms which didn't explain. Also had an issue with no hot water. It was rectified quickly but left a constantly dripping tap. Good room for the price. Parking is extra 15 so must take into account. The bed was sooooo comfortable. The shower arm needs attention though constant hot water wasnt a problem. Moccona coffee in room always goes down well. 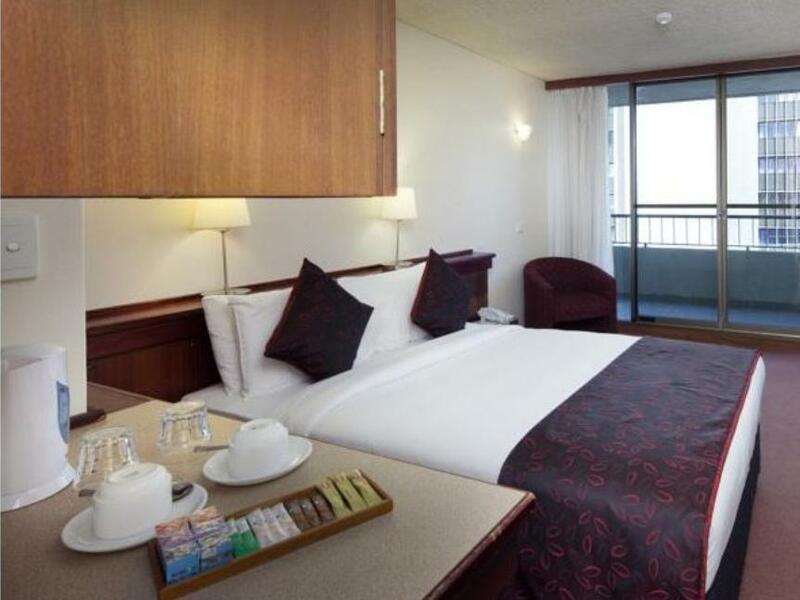 Excellent hotel in the heart of Perth. Close to city and office area. 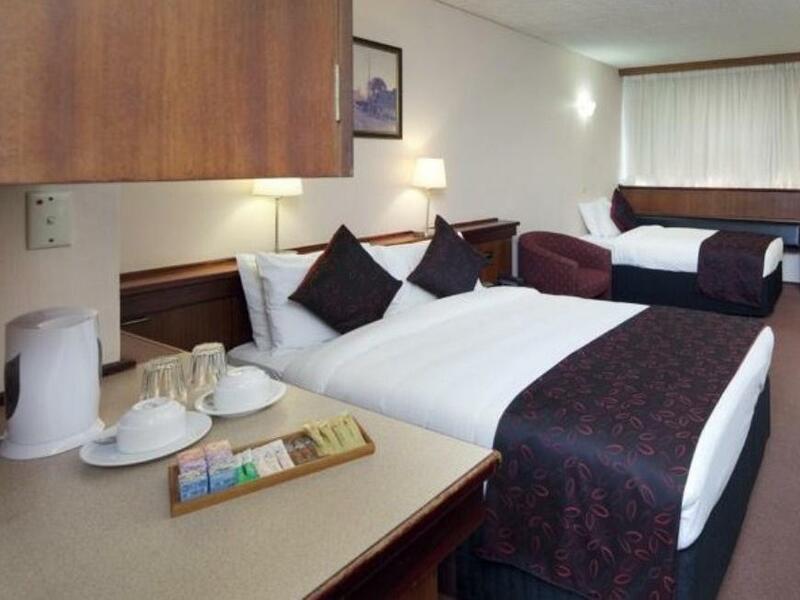 Value for money.big room and great tea supply in the room. Don't bother with near by eateries, good value meals at the hotel restaurant. Decor is dated but I like the firmer pillows and not so soft bed than some of the newer hotels. Will definitely return. Was given upgrade to Deluxe King room at the 6th Floor on my second check-in. Clean, Cozy and comfortable Rm but free Wifi was more unstable than Deluxe Balcony Rm. Still prefer the Deluxe Balcony Rm for the enjoyment fresh cool air and city view balcony. overall, enjoyed my stay on both type of rms there especially the breakfast. Great stay - clean and comfortable on the top (9th) floor with balcony city view though there is a tall building obstructing a river view. Nice staffs Gd sumptuous breakfast Free Wifi was quite unstable but generally okay for wadzapp and fb view/pics upload. clean and spacious rooms with good location. about 10 to 15 minutes walked to north bridge (china town) friendly reception and good house keeping services. downside is the hotel don’t have any parking space even they have special arrangement with the car park operator but rate consider expensive, as rate is aud for 24 hours but per entry only. 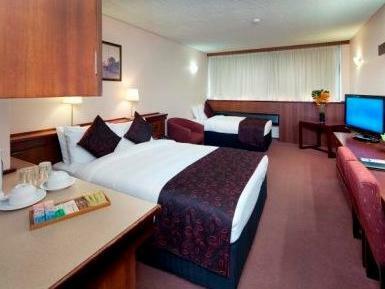 the hotel suited us both since it is very near the city centre, merely 3-5 minute walk. don't expect a classy environment and since we did not bring our kids, it suited us both very well. 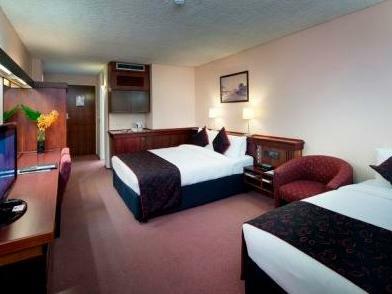 but again, if we did bring our kids, the room given is very spacious with beds ready for a family of four. the breakfast is not that well spread but since we are muslim, we did not fuss for bread jam and butter were just enough. the front receptionists were helpful. but as other reviews, the parking rate is rather pricy. we were lucky that we rented a car over the weekend so we were able to park at a free parking zone near the hotel. but be careful where you park and do read the warning sign near the parking area. 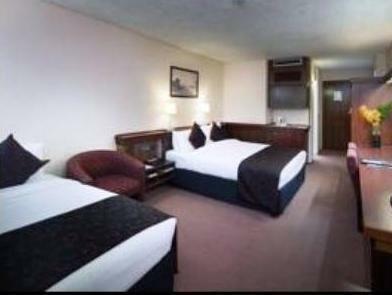 Centrally located in Hay Street, this hotel was very good value when booked in december 2012, plus a fully cokked breakfast was included. Maybe a bit old fashioned for some, I found it classy old world hotel style and would stay again. The only thing I could suggest regarding the staff was that while entering & exiting the building staff didn't greet patrons, no good morning or good afternoon, enjoy your day, etc... I found I was saying this to the staff and then they would response. I just find these common courtiousies very important to the image of a frontline service related business. The staff were otherwise faultless. Great value, great location. We enjoyed our stay. Thanks! Overall is good but our room is cold as the air heater is not good. Good location; within walking distance to shopping area/The Bell Tower/Elizabeth Quay/etc; easy access to airport Connect Shuttle bus/Red CAT. Parking fee for hotel guest is AUD15. 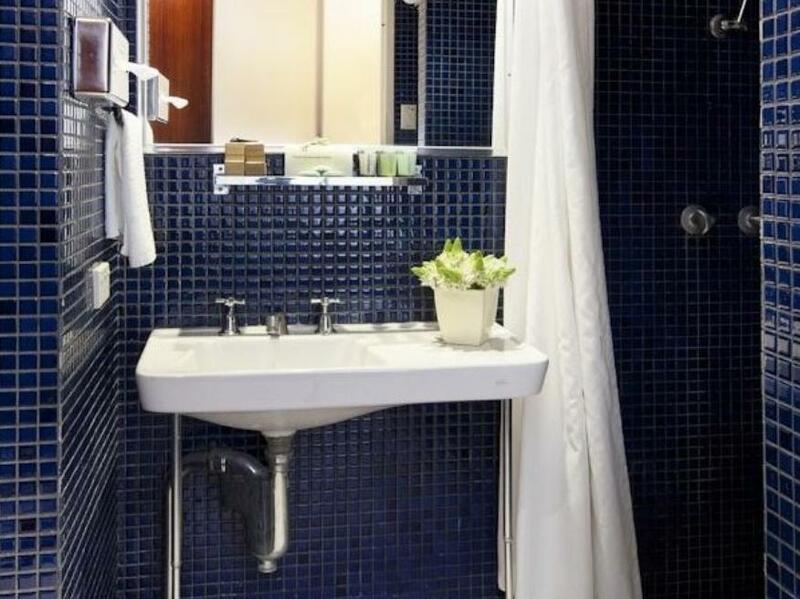 it is an old looking hotel but the room is equipped with the basic necessities. the bed is very comfortable. the downside is that there is no hotel slippers! there is also a lack of manpower however the staff do try to help as much as possible. 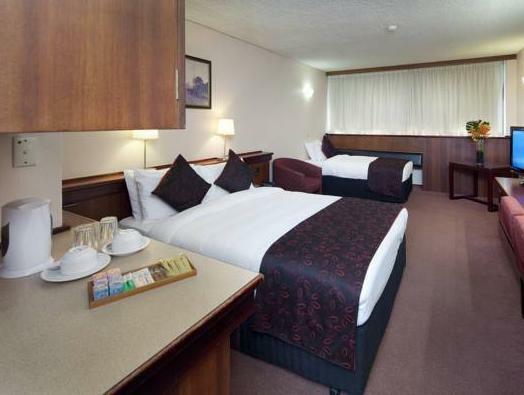 the location is ideal as it is walking distance to the train station and the jetty. Hotel is old, facilities were decent but had little kinks here and there. One night, for instance, the hot water only managed to be lukewarm. Wifi reception was weak in some areas of the hotel. But location is great - only a short walk to the main shopping areas of Perth. A decent stay for the more budget-conscious travellor. The hotel location is great but it appear as if it is a vacant building. Restaurants are no longer open, very minimal staff(one) at night. But rooms are clean and well maintained. Excellent transit if u are going to the airport as one of the cheap airport shuttle pick up point is this hotel. Walking distance to restuarants. Rundown hotel but staff were friendly. Changed room due to leaking aircon. Prompt response. Car park is expensive due to utilising other parking facilities. Otherwise very convenient location.